This Child Taco Costume will transform you into the Tex-Mex favorite this Halloween! Featuring a wraparound shell and tasty filling details, in this food costume, you'll look good enough to eat! Just add a sombrero and your south of the border taco costume will be complete! 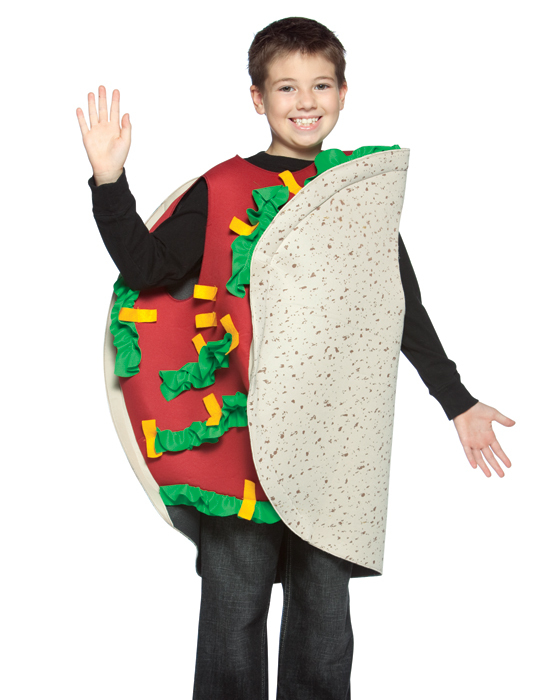 Availability: This Child Taco Costume takes approximately 1 business day to leave the warehouse plus transit time.